Snow scene with a personalised message. Snow scene with a personalised message. Change the message by adding a hash followed by your message to the URL e.g. 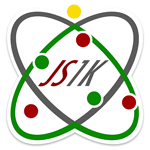 http://js1k.com/2010-xmas/demo/882#JS1K Play God! Control the wind and snow rate with your mouse or finger (if you have a touch device).